Posted on January 13, 2014 by J.
I’m going to call this exercise we are doing in class the Open Door Reading. Meisner calls it the Working Reading, and other teachers may have other descriptions for a similar process. 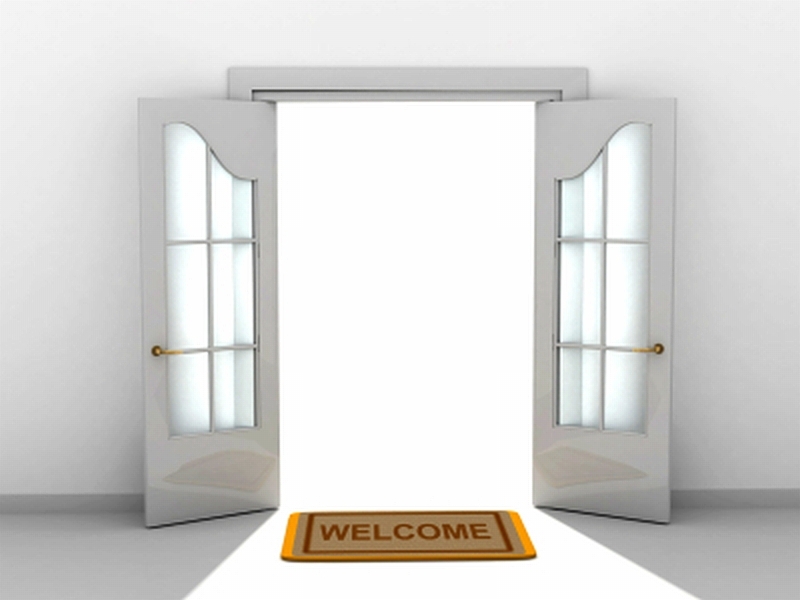 But I like calling it the Open Door Reading, because I hope it better communicates that we are using the reading simply to open an inner door to emotional possibilities. Keep the script in your lap or on the table in front of you. Look down at the script and gather as many words as you can remember, or perhaps just a short complete phrase. Don’t read ahead in your script to remind yourself of where the scene is going. Just gather the words you can remember, and look up at your scene partner. Take two seconds before you speak to contemplate the words you are about to say. This doesn’t have to be an active, intentional contemplation. Just let them sit in your head before you let them out of your mouth. Say the words to your partner. Don’t try to force anything on them in terms of how you say them. If there seems to be a clear intention behind them, go ahead and use it. If you just say them as ordinary, boring words, with no particular opinion about them, that’s fine, too. There is no right or wrong about what comes out, as long as it isn’t forced. If you’re uncertain what to “do” with them on any level, just say them simply. “Do” something with them only if it feels right and true. Continue to look at your partner for three seconds after you have finished speaking. Watch your words “land” on your partner and notice if your partner has any reaction to them. Notice how you feel about what you’ve just said. Sometimes what you say will make emotions come up in you. Sometimes knowing what you’re about to say makes those emotions bubble. Sometimes nothing will seem to happen. It doesn’t matter. Just let whatever happens, happen. Look down at your script and gather the next bunch of words in your head. Repeat the above steps, until you have completed your speech. Once you have reached the end of your speech, continue to look at your partner. He will eventually figure out that you aren’t going to say anything more. Let him figure it out in his own time. He may be processing emotions, so don’t rush him. He’ll eventually get to his lines. Don’t look at your script while your partner is talking. Keep your attention focused on him. Receive whatever he sends your way: the words, the way he says them, the way he looks at you. Receive it with curiosity and openness. Don’t evaluate it. Just try to receive it without opinion or judgment. Don’t modify it in any way. Let whatever you receive work on you. Don’t rush it. Don’t force it. Don’t raise an eyebrow because you think raising your eyebrow will be very effective in performance (it’s one of the things you noticed when you first read the play, and you know the audience will laugh when you do.) If your eyebrow raises on its own, that’s fine. But don’t make it do that. When you receive whatever your partner is sending you, you may find emotions bubbling up in you that seem inappropriate. Something tickles your funny bone, but it is ticking the actor’s funny bone, not the character’s. Or so you think. That’s okay. If you feel like laughing, laugh. Don’t censor what happens because it is “wrong” for the scene. You’ve got weeks of rehearsal stretching ahead of you, and plenty of time to censor as you need to. Right now, don’t censor anything. Let any emotion that rises up in you out, no matter how uncomfortable or embarrassing or “wrong”. It is difficult, at first, to identify when you are letting emotions flow naturally and when you are intentionally gravitating toward what you instinctively feel is right for the scene. That’s okay. Just keep trying to keep your brain from being too active, to not let it share its opinions, and just let your heart talk instead. Just feel what is happening in you. Hold the door opening to your feelings, and welcome them to the party. The good, the bad, and the ugly. When your partner clearly has no intention of saying anything more, assume that it is your turn. Look down at your script, and go back to the beginning of this list. Keep repeating the process until you reach the end of the scene. See The Hardest Part of Acting here. See Act Without Expectation here. This entry was posted in Acting, Exercises, Tools and tagged Acting, acting technique, Actor, Community Theater, Rehearsing. Bookmark the permalink.